Your station's transformation is underway! 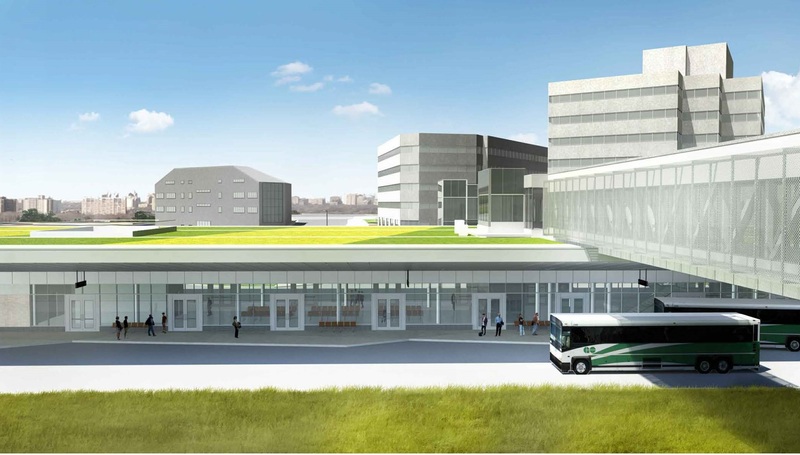 We’re building a new Kipling GO bus terminal so that we can offer you GO and MiWay bus service in the future. While we’re at it, we’ll renovate the existing station to make it more convenient and comfortable for you to use. Read the information on this page to better understand what’s changing at your station, options for how to get on the GO during construction and describe all the new amenities you’ll experience when we’re finished. After you’ve finished reading, please answer one question to rate the helpfulness of content on this page. Share your feedback here. Please board and exit your train at one of the five cars closest to the GO station building. Look for signage to show you where to stand and remember to board at all open doors to help trains leave on time. Please board and exit your train one of the first five coaches closest to Bay St. Listen to on-board announcement to ensure you’re sitting in the correct car for your stop. Not all cars will open their doors at Kipling GO. If you are unsure, ask your customer service ambassador for assistance. Public parking is only available on the south side of the station. Over 400 new spaces were added and are available for you to use. The south parking lot entrance is located on Kipling Ave (on the south side of the Kipling bridge). A temporary pick up and drop off area is available off Aukland Road at the intersection of Subway Crescent. Do not drop off on major roadways, block bus traffic or block residential driveways. Please give yourself extra time to catch your train or bus as we work on improving your station. All of these changes will be in effect until the bus terminal is ready in 2020. Check out our station travel guide to get a customized travel map to Kipling GO based on where you live. Click the toggle button in the upper-left-hand corner of the map to view the legend. Within the walk zone, you are about 15 minutes away or less from Kipling Station. Within the bike zone, you are about 20 minutes away or less from Kipling Station. See the bikeways on the map for possible routes to take. Use one of the 8 TTC bus routes in Zone 1 to get to Kipling Station. If you use PRESTO, you receive a $1.50 discount when connecting between TTC and GO! Go to triplinx.ca to plan your trip. Split your parking and driving costs by carpooling to the station. Go to explore.smartcommute.ca to find carpool partners. Use the 44, 123, or 188 TTC bus routes to get to Kipling Station. If you use PRESTO, you receive a $1.50 discount when connecting between TTC and GO! Go to triplinx.ca to plan your trip. Taking the TTC? Drive or get dropped off at Islington Station instead. Take a MiWay bus to Islington Station instead. Go to triplinx.ca to plan your trip. Improved car, bicycle and pedestrian access to the station including a new signalized intersection at Acorn Ave. 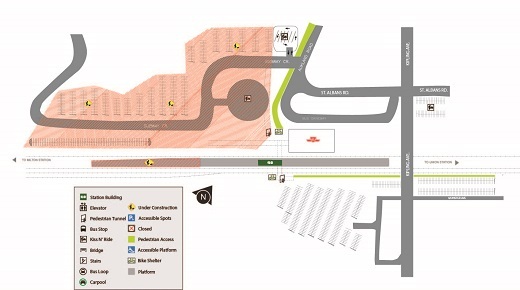 Learn about more service and improvements planned for your corridor by checking Metrolinx.com/Milton. 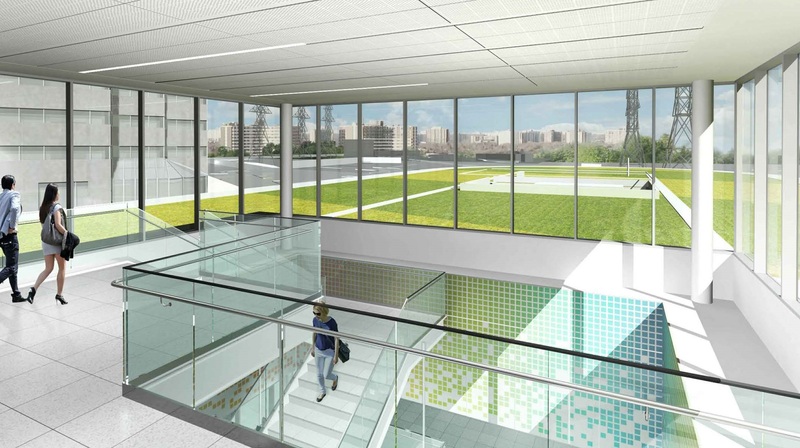 *Note: GO Transit/Metrolinx projects don’t include improvements to the existing TTC subway station or bus terminal. Bus routes are still being finalized and will be announced closer to the opening of the station. All renderings are subject to change.